Our Burlington facility consists of 15 press lines, ranging in size from 65 tons – 1320 tons and have the capability of handling up to a 72” coil width. 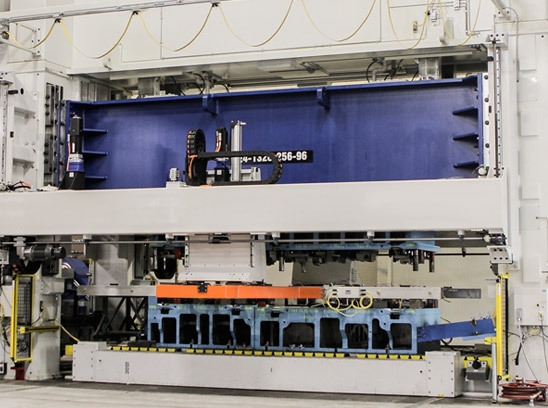 Our 1320 ton press line is also equipped with a linear transfer system. Our facility has the ability to produce a broad range of products for our customers in aluminum, stainless, carbon, high-strength, and martensitic steels. Production flexibility is demonstrated by our ability to run high-volume progressive dies and transfer tooling, to low or medium volume production to suit our customers need.